The second and final book in the Fahllen series is complete and it is available here at Amazon and Barnes & Noble as of Monday, October 31st. I want to take a minute to point out that two of the character names in this book were inspired by people that I've sort of "met" in real life, people that I wanted to include in this book in some small way. Only the first names were used. The characters themselves and their lives are complete works of fiction and not based on fact of any kind. With that said, let me introduce you to the conclusion of The Fahllen series. *drum roll please* Here it is, y'all! The Reckoning--the cover, the description and a brand new excerpt. I hope you all get it, read it and love it! See you Monday!! Carson Porter thought she’d had one of her most challenging years to date when she began her transformation into a reaper, but little did she know her battle had only just begun. Faced with changes in her boyfriend, Derek, the fear of her sister being able to steal her powers through mirrors and having to fight her every step of the way to rescue even one soul, Carson is ready to throw in the towel. Only she can’t. During a visit from an angel, Carson learns that her destiny is far more important than even she realized—and far more deadly. Can she dig deep within herself for the strength and the perseverance that she’ll need to carry out her mission? And will she have to do so without Derek or can she recover the man she’d once loved so desperately? Find out in the exciting conclusion of the Fahllen series, The Reckoning. This time, it was my heart that I heard thudding in the quiet of the room. It felt as though it might leap from my chest and burst into a million pieces. I could feel the surge of…something, something foreign and electric, something powerful and white. Just then the same buzz that filled my head during a call started up again, louder than ever and spreading. I could see it behind my eyes. I could feel it beneath my skin. It vibrated inside my bones and made my teeth chatter. My hair felt like it was on fire and my fingers burned like ten tiny flames. I dropped Amy’s hand and held mine up to my face. I could see small arcs of electricity jumping between my digits, sparkling and snapping as if from the ends of loose wires. Beyond my fingertips, I saw Amy’s body begin to buck and seize and the murky form that floated just above it sank back into place. Without any thought to the phenomenon that was going on inside my own body, my movements based on instinct alone, I reached for her, placing my hands in the center of her chest to hold her still as she thrashed about. Amy stiffened immediately, every muscle in her body tense with the current that was passing from me to her. I could see the tendons in her neck straining and her jaw was clenched so tight I could hear her teeth grinding. Inside her sandals, her toes were as pointed and as rigid as a ballerina’s. I jerked my hands back in horror. Instantly, Amy’s body relaxed back onto the tile floor, her head lolling lifelessly to one side. Like most people, and especially like the little wild child I was growing up, I have tons of tales of Halloween scares, snafus and scenarios that I could easily regale you with. But the one I choose to talk about has yet to happen. That's right, I think that my favorite Halloween just might be the one coming up in a little over a week. Well, the actual day of Halloween might not be so legendary, but the weekend before I think just might. I might just have to do a follow up post so that I can give y'all the final verdict, maybe post some pictures of what true Halloween awesomeness looks like. I think it's going to be amazing. And spooktacular. And scaralicious. And hauntabulous. I could go on with all sorts of cheesy non words, but I won't bore you. As always, TGIF and happy reading y'all!! Well, it's that time of the week again, folks. Come and get your funnel cakes and circus dogs! Oh, wait...we're out of both those today. What we do have, however, is a collection of art from the fabulous Amy Jacobs and a journal entry from BO about RIDLEY that is featured on Dani's blog. So, come on, y'all. Let's get started! This week we are featuring fan art and I happen to have made a very recent post pertaining to this very thing. 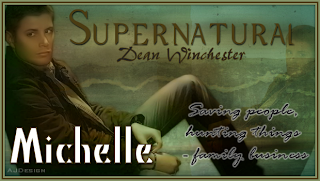 ﻿You may have seen a delicious picture of Sam and Dean Winchester on my sidebar, with a note above it about the amazing Amy J. 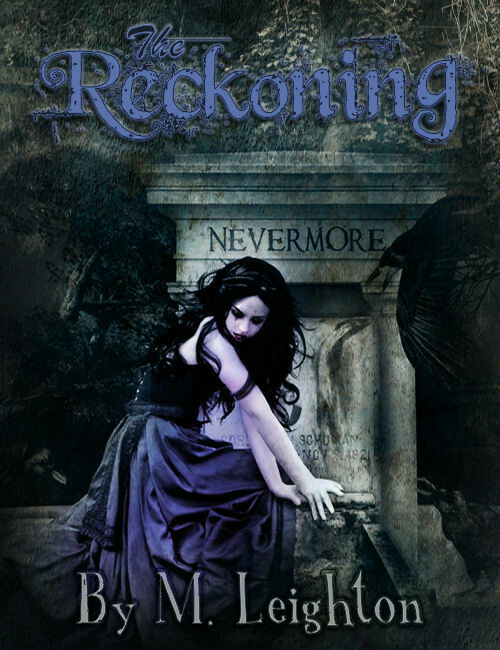 Well, the is also the one who did the alternate cover for The Reaping and the cover for my upcoming release, The Reckoning. I am more grateful than I can express for every single piece of fan mail, fan art, and every fan gift. I hope you know how much I adore each and every one of them and you. But on this post, I'm going to show you a few of Amy's contributions since she's cover artist for my book. Deal? This is another one she did of just Dean. So. Hot. There are many, many more, but in the interest of conserving space, I'm going to move along to the book covers for those of you who haven't already seen them. 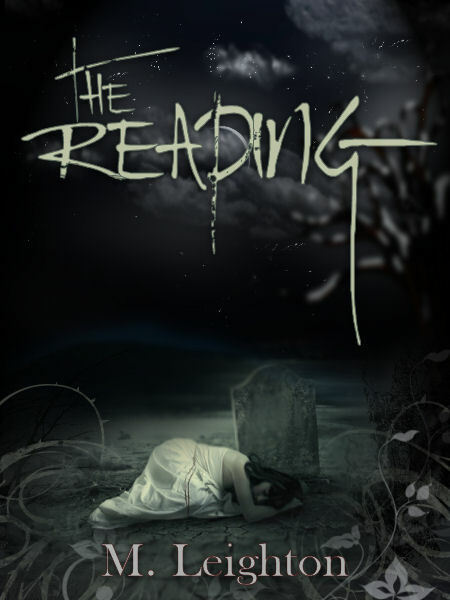 This is the alternate cover for The Reaping. And then, finally, the AMAZING cover she did for The Reckoning. If possible, I think she truly outdid herself with this one. I'm still in awe over it. AWESOME! With that, I'd like to thank Amy Jacobs one more time for being one of the most super cool chics I know and for being an incredible artist and blogger. 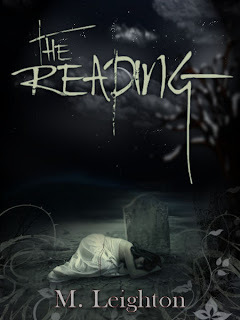 She was the very first person to read and review The Reaping and I feel very honored that she would do these covers for me. I think she'll always hold a special place in my heart:) *raises glass* Here's to you, Amy! As for y'all, you can find her here. Courtney Cole released her Bloodstone Saga finale, My Tattered Bonds. 30% of the royalties of Lexus Luke's Manitou The Sky People Saga go to the ASPCA. Filter Giveaway on Gwenn Wright's blog! http://hereventuality.blogspot.com/2011/10/von-strassenbergs-giving-it-away.html. When she reaches 100 followers she will give away a signed copy of Filter AND one of her fancy new mugs! THANK YOU SO, SO MUCH, Amy, for this amazing piece of art and for providing me with my most compelling cover yet. Here's the one she did for The Reaping. If I had seen this first, I would TOTALLY have used it! It's that time of the week again, folks! Open up because it's time for your much-needed dose of Carni fun again. Strange how that happens on a regular basis, isn't it? Hmm. Just remember that our particular brand of delicious fun costs you nothing, is fat free AND calorie free, and it won't embarrass you in front of your friends. Well, of course I like writing about most of my characters, even the bad ones. It's fun to slip into the mind of a villain sometimes--to deviously plot revenge, to be the one to throw a monkey wrench in the works and, most importantly, they always get the good evil laugh. That can be amusing at times, especially if used appropriately. But overall, if I had to pick one character that I enjoyed writing about the most (and I'm only including completed works, not WIPs or planned works) I would have to say...Bo. Bo is the male lead from my vampire series, Blood Like Poison. I know he is most of my readers' favorite character and I think one of the reasons for that is how easily I can slip inside his head and write what he's feeling and how he would react to something. I know how much he loves Ridley. I know the lengths he would happily go to for her. I know that he can't live without her. I know that she makes him laugh and ache and grit his teeth and sigh. As I was thinking about Bo, I knew I wanted him to be a bit tortured, a bit conflicted and a lot in love. I wanted him to be able to give Ridley that unconditional, whole-hearted love that we all dream about and that Ridley so desperately lacked yet needed. I wanted her to know that he would walk through fire for her, that he would swim the oceans and search the world for her, that he would fight lions and vampires and zombies for her, and all because he loves her far more than he loves himself. I wanted him to be incredibly selfless without being a martyr. I wanted him to be intensely emotional without being a pansy. I wanted him to be a warrior without being ruthless. I wanted him to be all man, but all about love, too. All about Ridley. And I think, for the most part, he nailed it. To me, Bo is the ultimate guy--he's always the gentleman, the consummate lover, the fierce protector, the sweet comforter and the knight in shining armor. Bo is like the most delicious dessert ever made. And the cherry on top of it all? He's HOT! Like, so-hot-it-hurts hot:) But why would he not be? I mean, if I'm going to write about the perfect man, he might as well be perfect, right? Right! Rachel Coles has a new anthology called Beyond The Veil: A Ghost Story Anthology that will be available today on Amazon and Smashwords. Darby Karchut's book, Griffin Rising, is a nominee for the 2011 Cybils Awards (YA fantasy). Our own Laura Elliott will be on tour with The Rain Boots Required Young Adult Authors talking about "The magic of magical realism." She'll also be at Wordstock Oct 8-9.